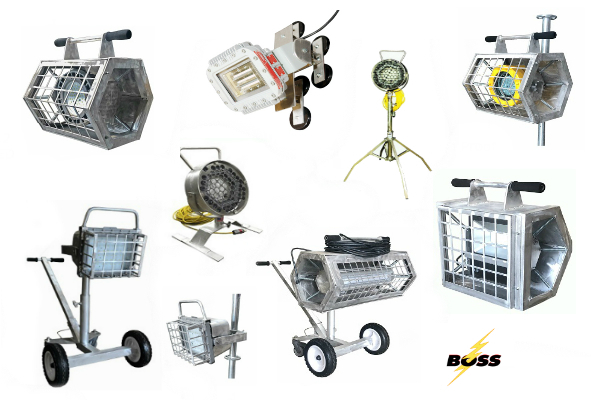 The new scaffolding floodlighting product line from Boss LTR is here! These LED products are the perfect solution for your tank and vessel application. 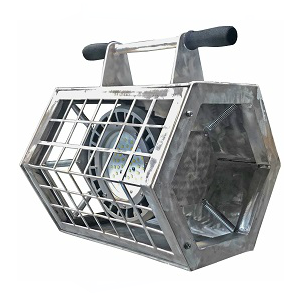 BossLTR was the first portable lighting company to successfully produce an explosion proof 120v floodlight that received UL Certification 844-P4 and UL153 compliant validations for use in Confined Space Entry apps; Oil storage tanks and process vessels. 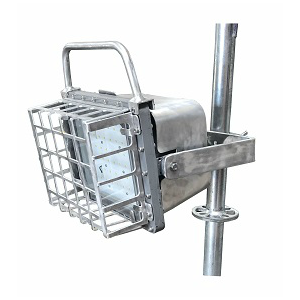 All the products shown can be equipped with scaffold mount clamps. Clamps designed for specifically fitting to all industrial scaffolding products. 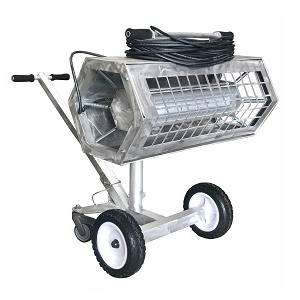 Model# SOL100LED-3R 120V SPRING MOUNTED has a 100w LED floodlight rated for use within wet-locations. 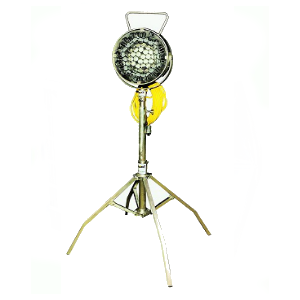 This model is available with a 300w LED water resistant floodlight plus a scaffold mount clamp. 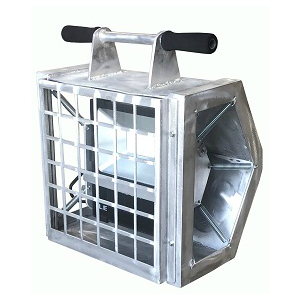 Model# SOL40LED-D2-120V SPRING MOUNT is a 40w LED floodlight rated for use in Nema 4x water proof areas. This model can be supplied with a scaffolding clamp. 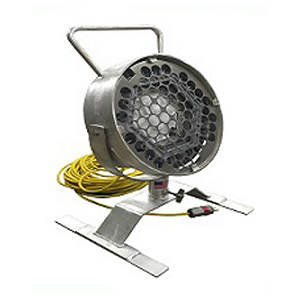 Model# QP150LED-DI-120V QUADPOD MOUNT is a 150w LED floodlight rated for use in Explosion Proof areas. 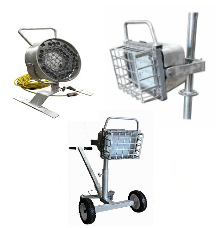 Is available with 100w LED or 70w LED fixtures and scaffolding mount clamps. Model# SOL39LED-D1-120v SPRING MOUNT is a 39w LED floodlight rated for use in Explosion Proof areas. 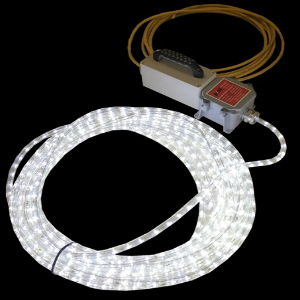 Also available with a 70w Metal Halide Fixture. Both designed to attach to scaffolding. 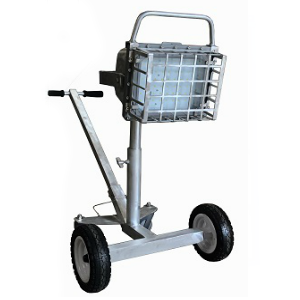 Model# CM150LED-D1-120v CART MOUNT is a 150w LED floodlight rated for use in Explosion Proof areas. This product is available with a 100w and 70w LED fixtures. 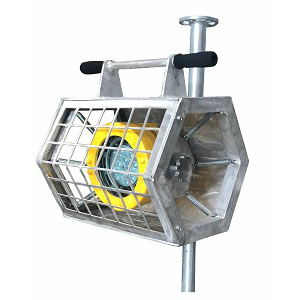 Model# SOL150LED-D1-120v SCAFFOLD MOUNT is a 150w LED floodlight rated for use in Explosion Proof areas. This product also available with a 100w or 70w LED fixtures. 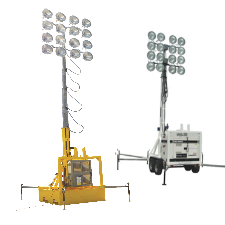 Model# FS150LED-D1-120v FLOOR STAND MOUNT is a 150w LED floodlight rated for use in Explosion proof areas. This product can be supplied with a 100w or 70w LED fixtures. 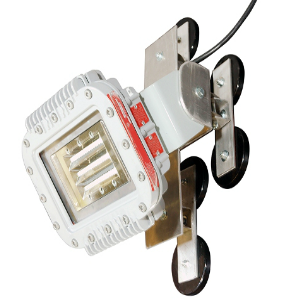 Model# XML70LED-D1-120v MAGNET MOUNT is a 70w LED floodlight rated for use in Explosion Proof areas. Can be supplied with scaffold mount clamps. 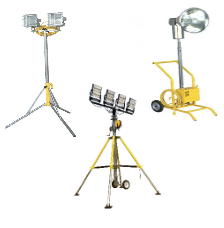 BossLTR produces exclusively the Industrial Rope Light series of industrial portable lighting products. 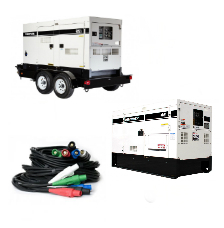 Currently these products are rated for Nema 3R – water resistant 120v and 12v models. Boss has opened a UL file to begin the process of getting these Rope Light products UL Listed for Class 1 – Division 1, Groups ABCD, Explosion Proof ratings; Projected to be available for rental by November 2018.